Air India will begin service to Los Angeles and Dallas later this year, in addition to previously announced service to Washington DC. In a Facebook post, Air India’s Chairman and Managing Director Ashwani Lohani outlined several new routes. While the departure time from Washington Dulles is not ideal, the arrival time in Delhi is far better than a middle-of-the-night arrival. Air India had previously hinted that it would begin service to Copenhagen rather than Stockholm, so the announcement of Stockholm took many by surprise. Tel Aviv perhaps remains more an optimistic goal than likely reality. In order to reach Tel Aviv, India must overfly many territories either hostile to Israel or who do not recognize it as a nation state. Air India has been unable to secure permission to use airspace in the United Arab Emirates, Iran, Saudi Arabia, Pakistan and Afghanistan on flights to Israel. I am old enough to remember the last time Air India served Los Angeles. 747-400s were used and the flight made a stop in Frankfurt. Citing high fuel costs, the flight was cancelled in 2008. No schedules for the new flights have been provided yet, but it will be interesting to see if the new LAX service is non-stop like the SFO-DEL service. Air India is growing and I hope to fly on the Indian flag carrier this fall. As a reminder, Air India is only 9-across in economy class on the 777 (most carriers now squeeze in 10 across). Further, seat pitch is very generous. Business class also features lie-flat beds. Hopefully this announcement from the Chairman indeed is an accurate signal of what is to come. Previous Article Hot Deal: United Airlines to Rome for $375+ R/T from Six U.S. Cities! Nice to see DFW on the list. Theoretically that route should do well, thanks to the combination of a large Indian community here, along with many businesses with ties to India. The lack of Star Alliance connections will hurt, though I don’t see that as a deal killer. The question is whether AI can provide a consistent service experience so that people will actually want to fly them. Historically, AI has been like a box of chocolates – you never know what you’re going to get on any given day. I know everyone likes to dump on Air India, but I love flying them to India in business or first class (I’ve only done economy regionally). Their FA’s are always friendly, accommodating and smiling. The food is not gourmet with caviar or lobster, but it’s always very tasty and bountiful. Having a direct flight out of LA would be amazing, especially if it’s a non-stop. Going through SFO or ORD is fine, but leaving from my home city is certainly a lot better! I can’t wait until the flights are bookable. Nice to see Air India making it route list stronger, this would certainly give it an edge over lot of Middle Eastern and European Airlines. Am also eager to see how it makes the South East Asia and Oceania Route more competitive. Being based in Auckland, New Zealand, I have been hearing from some time that we will have a direct flight between India and New Zealand, and Air New Zealand and Air India are the only two possibilities on the list to make it happen. Last year it was official that there would be a direct flight between the two countries, but haven’t heard about any plans yet. New Zealand is home for approx. 175,000 Indians and being Air India getting its European route stronger and with already a well-resourced Middle Eastern route, this will open passage for lot of Kiwi tourists as well travelling onwards to these countries. Moreover, New Zealand citizens do not need visa to enter India for 30 days, which certainly would favour Indian tourism industry. Currently, the shortest route to travel from India to New Zealand and vice-versa is on Air India via Australia, where New Zealand to Australia is on either Qantas or Air New Zealand and the total journey time is roughly 18hrs, which is inconvenient to most of the Indian Citizens as they require Transit Visa to cross Australia. 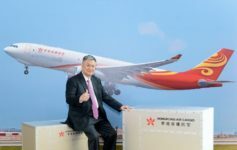 Hence, China Southern, China Eastern, China Airlines, Air China, Singapore Airlines, Thai Airways, Cathay Pacific and other Asian Carriers are the best alternates but the travel time including transit ranges from 21hrs to 30hrs. Recently, Qatar Airways started the direct flight from Auckland to Doha, Doha definitely is not a travel destination for Kiwis but still it’s doing well to connect them to European and Middle Eastern Countries. There is no direct flight from New Zealand connecting Europe, the best we have is Auckland to London on Air New Zealand which actually is via Los Angeles. New Zealand has vast European population and with the only option to fly via either via US or Asia, Air India by adding a flight on this route would certainly make its destination list more stronger. Do they have confirmed date of operation (DEL – DFW)?